After furry domestic animals such as dogs, cats, and in particular, rabbits are the most popular pets in the UK. In fact, the 2015 Animal Wellbeing Report from PDSA puts the number of these pets at 1.2 million. Traditionally, not a lot of people kept rabbits as pets largely due to lack of knowledge on their proper care. 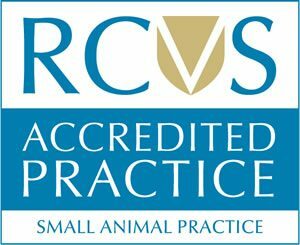 There is no precise formula for rabbit care, but with the right information from vets in Surrey, you can gather the basics. Just like other pets, rabbits have dietary needs that their owners need to know of. The nutritional needs of a rabbit is often largely dependent on age. The diet of a young rabbit should include pellets because they are designed to provide specific nutrients for weight gain. Commercial pellets are naturally balanced and have high fibre content to cater to the needs of a growing rabbit. As a pet matures, the pellet quantity in the diet needs to be reduced, so you should contact vets in Sutton, Surrey for recommendations. Feeding mature rabbits pellets can lead to health issues related to excessive weight gain. A proper diet for your pet should contain a high percentage (at least 70%) of roughage because naturally, they graze, so a meal with high-quality hay should be sufficient. As a matter of fact, hay is more crucial to the diet than pellets. The digestive system of a rabbit requires hay to keep functioning to consequently reduce the threat of blockages. Vets can provide options for the best hay for rabbits of any age. Include a lot of greens such as sprouts, radish, basil, spinach and lettuce because they contribute to the roughage content, too. A rabbit can begin consuming vegetables at about three months. The best way to introduce vegetables is one after another just in case your pet experiences stomach upset from some varieties. Rabbit treats are highly recommended, but they have to be chosen carefully to avoid unnecessary weight gain. Make it a priority to ask vets for advice.